The St Johnstone boss has spoken out over his counterpart being sacked by the Dark Blues. 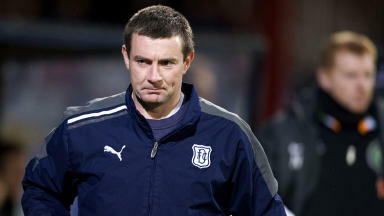 St Johnstone boss Steve Lomas has criticised Dundee’s decision to sack manager Barry Smith. The Dark Blues parted company with Smith on Wednesday, with the club sitting 15 points adrift at the foot of the Scottish Premier League table. Dundee’s promotion to the top flight only occurred at the last minute, following Rangers’ failure to regain their spot in the league, and Lomas believes his counterpart shouldn’t have suffered the consequences. 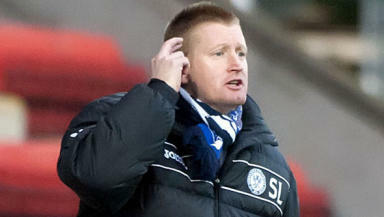 "I've been in the game for many a year," Lomas told Press Association Sport. "People talk about loyalty and this, that and the other, but you are a commodity and when you are done, you are down the road, same as when you are a player. "The only people who are loyal in the game these days are the fans, really. "But I have a great deal of sympathy for Barry. "To not know what league you are going to be in until the week before, how can you plan? "That wasn't Dundee's fault, that was just the scenario but he went through two administrations, so let's have it right, he has been through the mill at Dundee. "I thought he probably deserved the chance to be managing them next season and be judged on that. 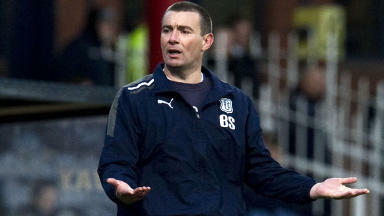 "Whatever Dundee's thinking was, I have a great deal of sympathy for Barry because I don't believe he was given a fair crack. "But I'm sure he will bounce back."